This Queen is sunny, outgoing, and vivacious, full of confidence and good humor. She confronts obstacles with enthusiasm and never lets them stand in her way for long. She’s a natural leader but not at all arrogant - she treats everyone with friendly courtesy and connects with them so they are happy to follow her. Her spirit is fiery, always sparking new creative ideas. Most of all, she’s passionate in whatever she undertakes. This card suggests that you should get in tune with the vibration of this Queen and allow her qualities to come through in you. Fire yourself up and get to work on the projects that are close to your heart. Reach out to others who may be able to help you - this is a good time for you to build valuable alliances and partnerships. Don’t be afraid to take the lead. 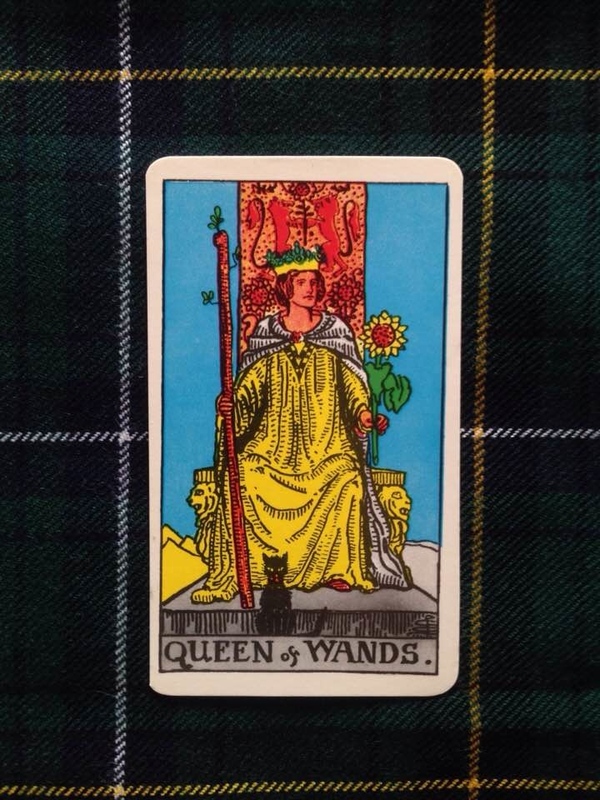 As long as you channel the indomitable energy of the Queen of Wands, you’ll find success.